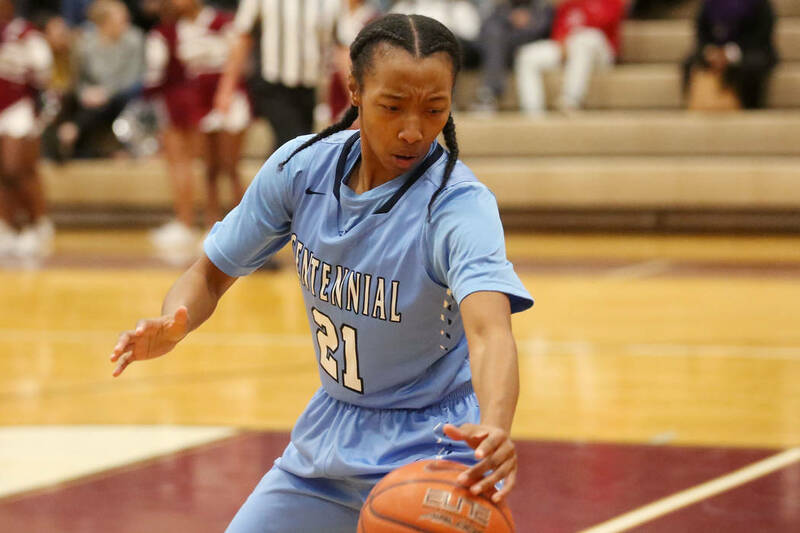 Centennial girls basketball coach Karen Weitz will have three of her players — Justice Ethridge, Melanie Isbell and Bailey Thomas — on the Lady Rebels within two years. Karen Weitz is a proud UNLV alumna, having thrived on the school’s track and field team before graduating in 1992. 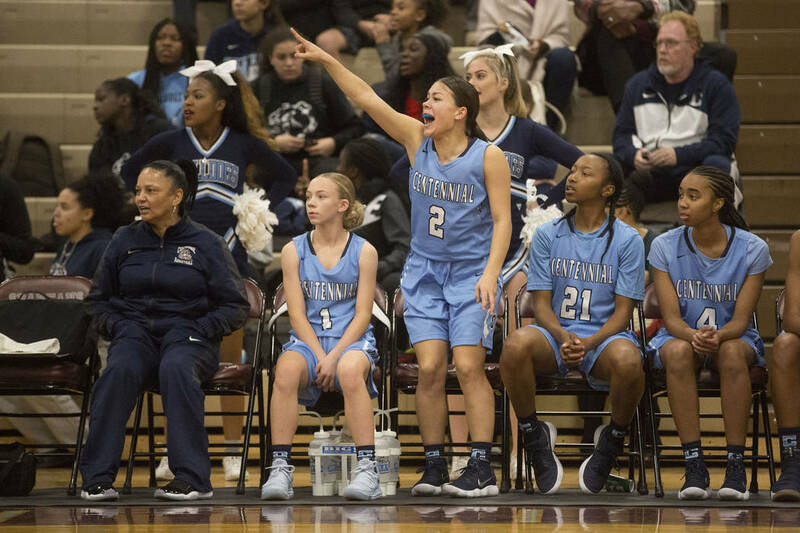 And now Weitz, in her 18th season at Centennial, has three more reasons to be delighted with her alma mater. Justice Ethridge. Melanie Isbell. And Bailey Thomas. Two current and one former player, all of whom will suit up for the Lady Rebels with high expectations under coach Kathy Olivier. 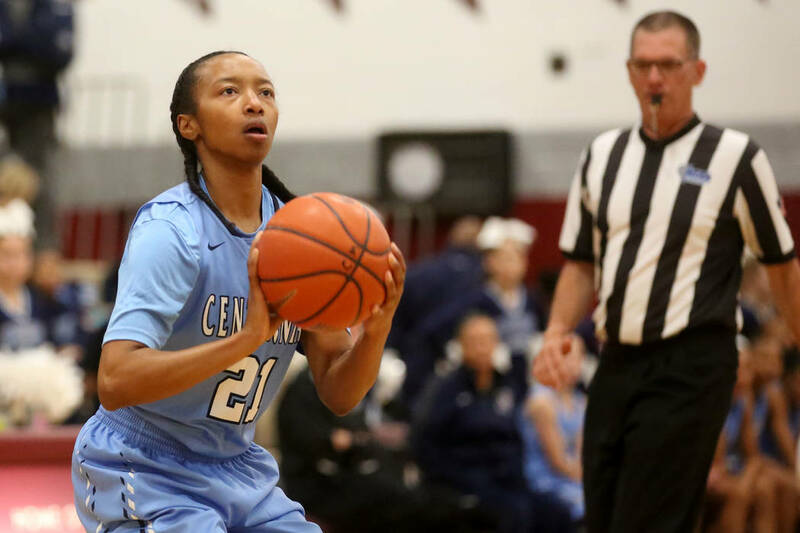 Ethridge (senior), Isbell (junior) and Thomas (Class of 2016) helped Centennial blossom into a national powerhouse the past few seasons under Weitz. Since 2015, the Bulldogs have lost to only one Nevada opponent, compiled a 94-5 record, and were — for a brief moment in February — the nation’s No. 1 team. The three are expected to carry over that winning tradition at UNLV. For Ethridge and Isbell, though, first comes high school. Thomas, who played sparingly at West Virginia last season, transferred in April but has to sit out a year because of NCAA transfer rules. The 5-9 guard will have three years of eligibility remaining. “It’ll be fun to have all three of us together again,” said Ethridge, smiling. 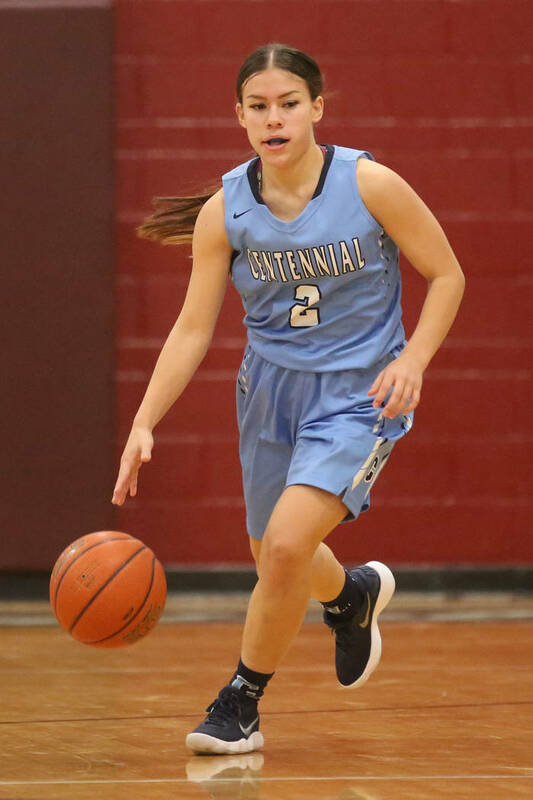 Weitz recalled the conversation she had with Ethridge about whether she would choose UNLV over scholarship offers from Georgetown, Hawaii, San Diego and San Francisco. 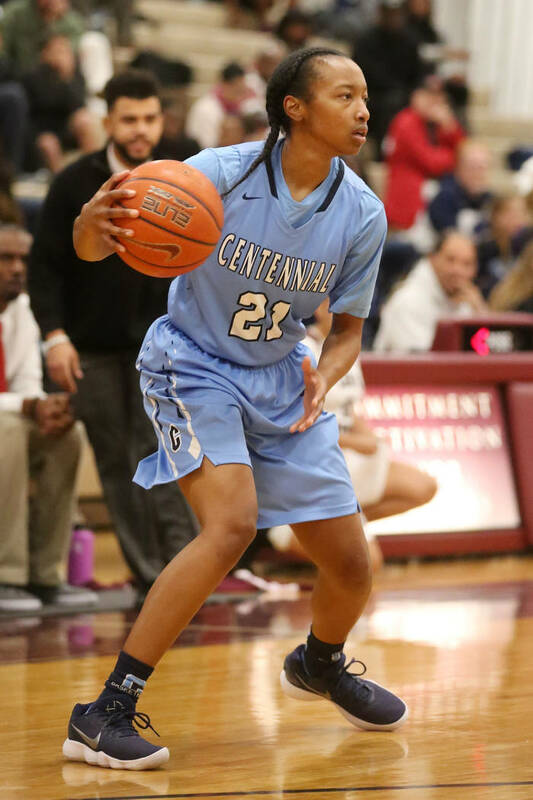 Ethridge averaged 13 points, 4.0 rebounds, 2.0 assists and 3.0 steals last season, and set a state tournament record with six 3-pointers in the state final. 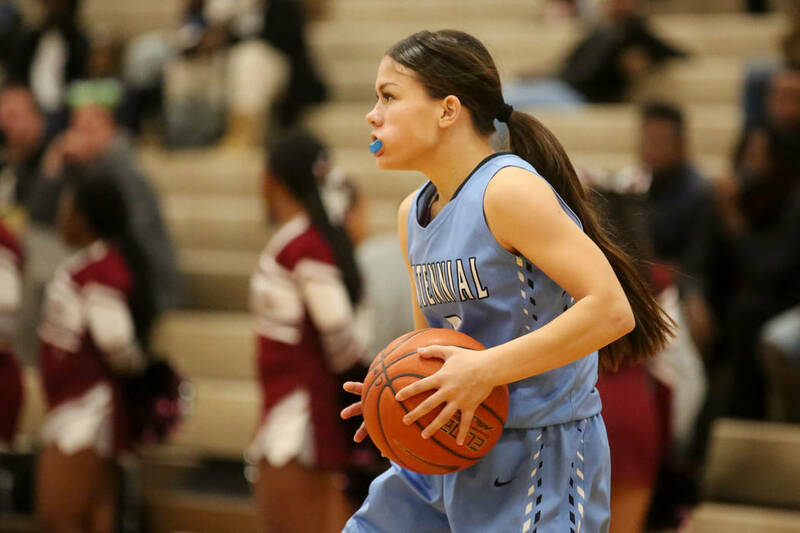 She committed to the Lady Rebels in August and was joined by Isbell a week later. Both praised the Lady Rebels’ coaching staff for its “energy” and “good vibes” and said they wanted to stay home to play in front of friends and family. Isbell committed to UNLV over Hawaii and Pepperdine — forgoing the beautiful beaches, weather and palm trees of Honolulu and Malibu.